An epidemic which has been brewing on the outskirts of Hyderabad for over 20 years, awaits justice at the National Green Tribunal, Chennai May 9th 2013. The valley of Patancheru in south-central India lies downstream from scores of pharmaceutical factories. Its waters have suffered heavy pollution by all sorts of industrial effluents for decades with dire consequences for village residents and farmers. Over 175,000 people are affected in the 20 villages and the suburban areas of Patancheru. A number of water streams and lakes are severely contaminated affecting agriculture, productivity, human health and livelihood. EnvirohealthMatter’s Rishab Khanna has visited Patancheru and recorded the current state of affairs on film. He describes, “The situation at Patancheru has still not changed and effluent in the water is still contaminating the environment but also the people who live in the area, drink its water and eat its food. The people of Patancehru have suffered greatly in the last 20 years, we at EnvirohealthMatters, support the demand of the impacted communities and the action being taken by advocate P.Niroop”. There is concern in the world over the effectiveness and safety of drugs imported from Asia; however, the impact on people and the environment in the places where drugs are produced is rarely considered. The US Food and Drug Administration carries out more inspections of foreign drug plants than previously, but the focus of those inspections remains on the quality of the product being exported, not on the effluents going out the back door. Technical fixes are available. Treatment of effluents with ozone, ultraviolet light and activated carbon can break down drug compounds. But manufacturers who depend on selling their products as cheaply as possible will oppose any additional processing that would increase their costs. And the municipal sewage-treatment plants that receive pharmaceutical production waste can’t be expected to subsidize a single industry by taking on this costly process. Ake Wennmalm, advisor to EnvirohealthMatters, formerly environmental director at Stockholm County Council, Sweden, says “Much could be done to curb the problem at the procurement stage. Recently in Sweden, for example, county councils have begun requesting that companies supply them with prescription drugs also provide them with environmental emission data from the factories that produce the drugs. The Swedish government has proposed that official GMP or Good Manufacturing Practice”, required to produce pharmaceutical drugs in Europe, be amended to mandate pollution control, wherever the production takes place. Advocates of a more transparent production chain, like Joakim Larsson from the University of Gothenburg, Sweden, suggest that sources of all active ingredients in all drugs should be published and available to all, so that medical personnel and patients can avoid from “dirty” drugs. Such measures at the procurement and consumption ends of the pharmaceutical industry, along with concerted efforts to curb the overprescribing of drugs, a pervasive problem in affluent societies, are needed if we are to avoid doing grave harm on one side of the world while doing good on the other. 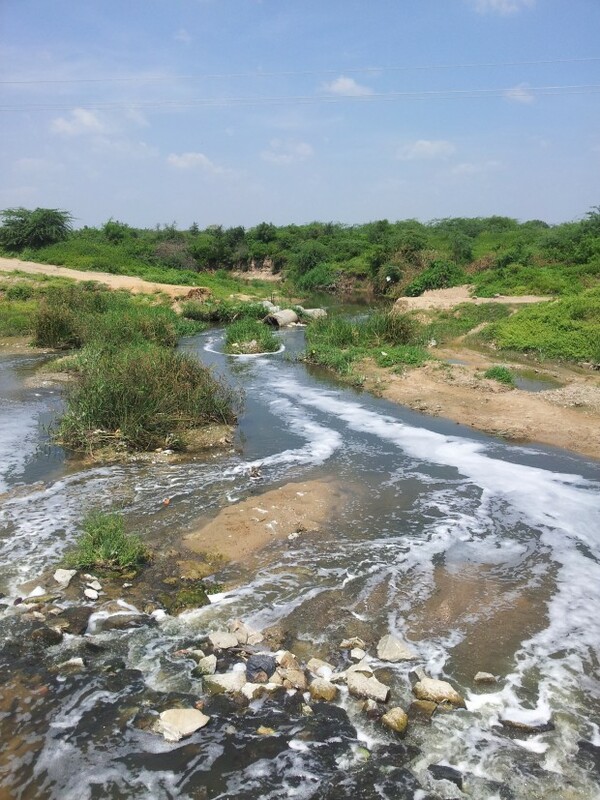 A team of researchers led by Joakim Larsson of the University of Gothenburg in Sweden published their chemical analysis of effluents from a water treatment plant that was receiving waste from Patancheru’s industrial estates. They tested “treated” water flowing out of one of the plants into a small local stream, for 11 drugs – antibiotics, as well as remedies for high blood pressure, ulcers, and allergies. The result, they wrote, was that “to the best of our knowledge, the concentrations of these 11 drugs were all above the previously highest values reported in any sewage effluent”. The researchers noted that the antibiotic ciprofloxacin was flowing from the plant’s outlet pipe at the rate of 45 kilos per day – about 45,000 typical daily doses. As we will see, that was almost certainly having far-reaching ecological consequences. But people living downstream might have seen more immediate effects. Fluoroquinolones, the class of antibiotics to which some of the other drugs being made in Patancheru belong, are known in some cases to have frightening physical and mental side effects, even after a single dose. In 2009, the team returned to find drugs at high concentrations in village wells downstream from the plant. And in one nearby lake, concentrations of ciprofloxacin and the antihistamine ceterizinean, exceeded the concentrations found in the bloodstream of a patient who is being treated with them! There needs to be an interdisciplinary institution in the region which would host all the work to be done for the impacted community. Please contact EnviroheatlhMatters if you are intrested in supporting this work.